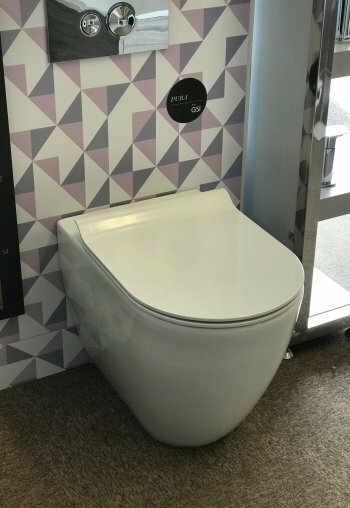 On display in our showroom we have the pura back to wall wc pan shown with slimline seat. 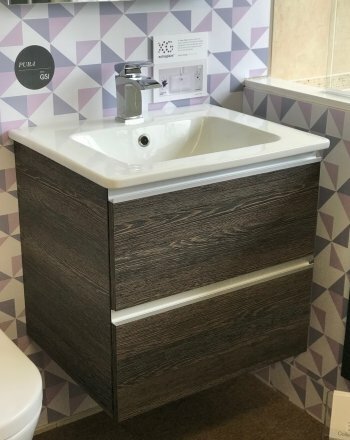 THIS PAN IS ON DISPLAY IN OUR SHOWROOM. 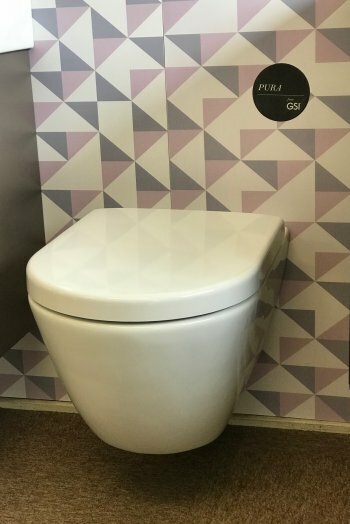 SHOWN HERE WITH THE STANDARD SOFT CLOSE SEAT, ALSO AVAILABLE WITH SLIMLINE SEAT. 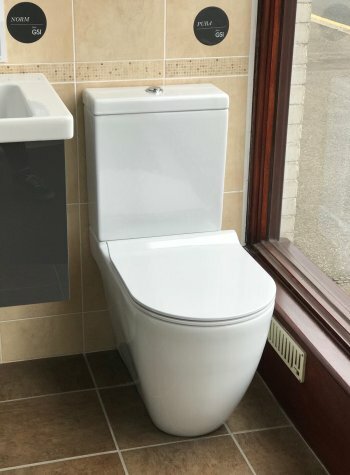 ON DISPLAY IN OUR SHOWROOM WE HAVE THE PURA GSI CLOSE COUPLED WC SHOWN HERE WITH SLIMLINE SEAT.